A night on the town or a casual evening with friends – Dazzle Me Up Necklace does it all! 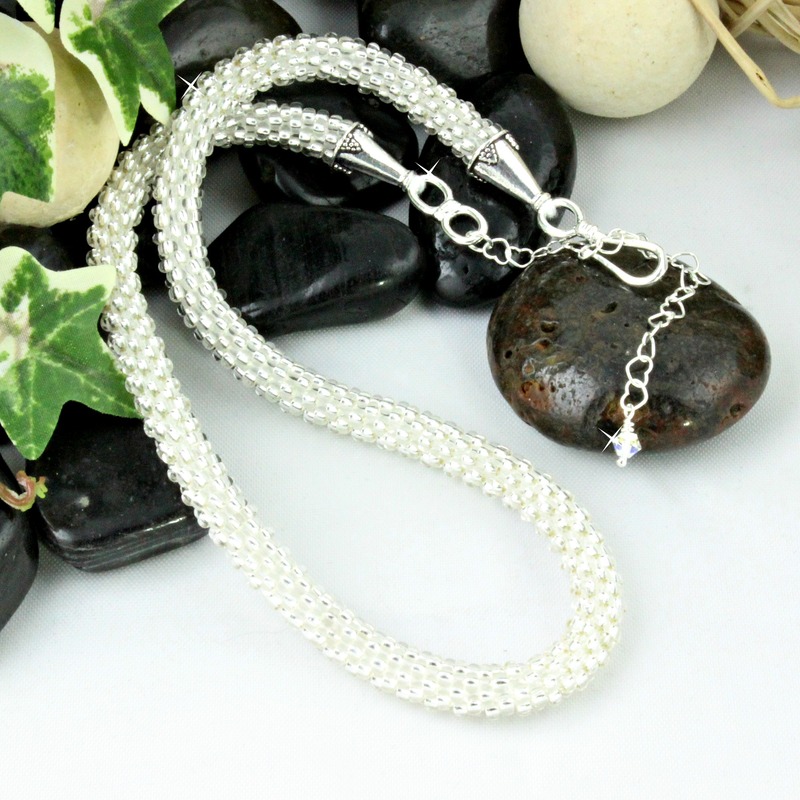 This is our most popular necklace featuring silver lined seed beads hand crocheted into a stunning necklace. Perfect worn by itself – Spectacular with any Shugies pendant. Get ready to show some Dazzle!